Eat better. Increase your physical activity. Lose weight and improve your health. 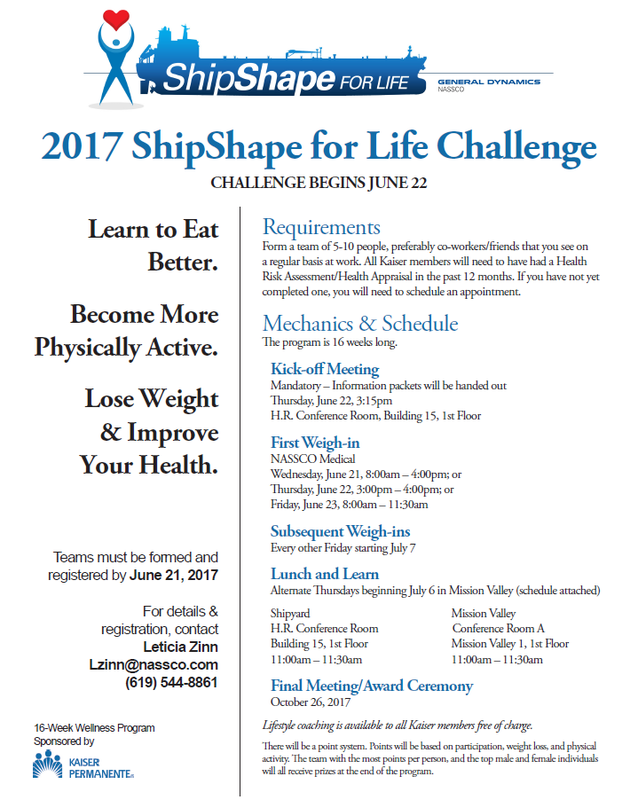 The 2017 ShipShape for Life Challenge begins June 22! Form a team of 5-10 people, preferably co-workers or friends that you see on a regular basis at work. Teams must be formed and registered no later than June 21. This 16-week wellness program is sponsored by Kaiser Permanente.